More than £3 million is being ploughed into upgrading and enhancing services at a leading commercial estate near Kidderminster as part of an extensive improvement programme. Schroder Real Estate Fund, which has owned Hartlebury Trading Estate since 2013, has invested in a series of works which have seen security systems upgraded, new roofs across a number of units, refurbishment of vacant units and additional landscaping throughout the site. 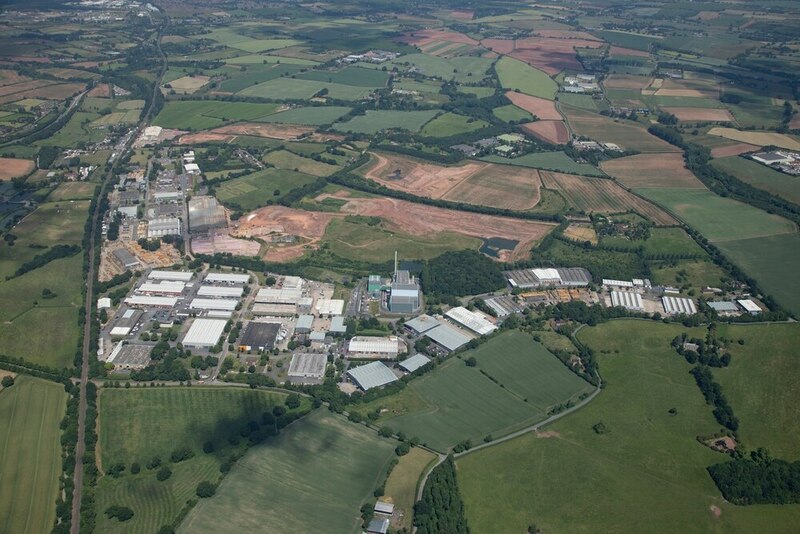 Rupert Jeffries of Collingwood Rigby, asset manager for the estate, said: “We take a great deal of pride in the high-specification of the business park and its environment, and we’re committed to improving its facilities. “As part of that commitment, we’ve heavily invested in our security systems, installing new and upgraded CCTV cameras and network video recorders across the estate to ensure that our occupiers have full peace of mind that their premises are protected. “Demand for space at Hartlebury has been strong in recent years, and as such we’re currently experiencing record low void levels. With that in mind, we’ve overseen a full refurbishment of our vacant units, with new floors, office accommodation, roller shutter doors and redecoration works, as well as external improvements including over- cladding schemes and improved services and windows where required, so that they are in a first-class, ‘as-new’ condition for new occupiers,” he explained. In addition, new roofs totaling 226,000 sq ft have been fitted across 30 of the estate’s 130 buildings, with contractors instructed to re-roof a further 50,000 sq ft of accommodation in the coming months. Rupert added: “We are always looking at ways to improve the common parts of the estate, and we’ve further invested in seagull deterrent digital systems and created new planting areas for landscaping and wildlife. Our parkland-setting is one of the biggest draws to tenants, and where possible, we want to enhance that. The next phase of roofing is expected to start in October and be completed by Christmas. At 200 acres Hartlebury Trading Estate is the largest commercial estate in Worcestershire and current occupiers at the estate include FedEx, TNT, Vax, CP Foods, Concept Furniture and Forest Garden.